Hiring a new associate can be stressful. This person is going to be representing you, your other associates, and most importantly, your clients. Your reputation could be at risk if you make a poor choice. With the changing legal market and the many law students graduating from law schools, how should a firm choose a new associate when they need more support, or an open position becomes available? Do considerations like GPA, class rank, and law review credentials weigh less than they once did? Have other considerations like technological savvy and business development skills gained more influence? 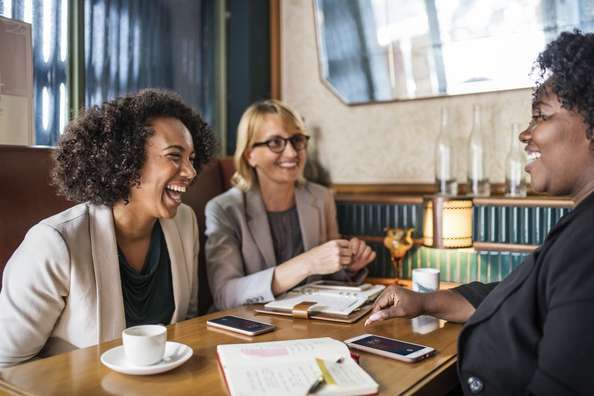 This article lists four ways lawyers in small and solo firms can learn about different professional and personal considerations when hiring new associates in the modern legal market. Recruiting is a long, arduous, and expensive process. The first consideration when seeking to hire a new associate is how to find candidates. Traditionally, this process was done through law school career service offices or hiring directly through internship/externship programs, but there are new avenues to search for qualified candidates being utilized. Temp and staffing firms, while expensive and time consuming, have proven to be a decent source for temp-to-hire positions for some in the past. Additionally, sites like LinkedIn, ZipRecruiter, and Glassdoor are increasingly popular job-search engines amongst younger attorneys. These avenues can help find candidates for an open position, but this is just the start of the battle. Are the applicants qualified? In the past, simply providing some transcripts and writing samples were enough for employers to gain enough confidence in a potential candidate to hire them. Performing well in the basic legal education system was sufficient. GPA and class rank are still undoubtedly important, but they are not indicative of a successful candidate. In today’s legal market, these traditional considerations are more of a threshold filter rather than a testament to a candidate’s skill. Long story short: any recruiting method is still going to leave you with a lot to do (and spend) before making a final hiring determination. Prepare for training, managing, and administering a new associate. There has been a recent push by law firms for law schools to start teaching more practical skills over theoretical skills. The traditional skills learned in law school are undoubtedly still important, however, in today’s environment there are more considerations towards client interaction and generating new business that take precedence. The thought is that a new hire who has practical experience and skills can hit the ground running and provide better, tailored experiences to the firm and client. Unfortunately, many law schools have been slow to change their curriculum to teach more practical skills. This means that the responsibility falls on law firms to train new associates the practical skills they need to successfully perform their duties. Reports estimate that employers spend an average of $1,200 per employee on training new hires. This is estimated for traditional jobs and it can be assumed that the actual costs for new associates would be significantly higher because of increasing hourly rates and the specialized training needed. Not to mention that the time put into training these new hires also takes away from the manager’s or supervisor’s time, which adds up as a hidden cost of new hires as well! In addition to training associates, there are also costs related to administrative matters. The new associate has to have a workspace and supplies. Moreover, the employer must start paying taxes for the new hire. All of these line items raise overhead cost significantly and significantly add to the list of considerations when hiring a new associate. Make sure you can afford an offer that entices hard work. One of the most expensive mistakes a practice owner can make when hiring a new associate is offering a deal that might produce a high turnover rate. As we discuss above, it is expensive to train a new associate. If you have to keep training a new hire every year or so because the previous employee doesn’t stick around, that expense (and time) really starts to add up. From the start, make sure that you can offer the new hire an enticing deal that will make the associate think twice before taking up another offer. This doesn’t just have to be with salary, though. Offers containing good health insurance or 401k benefits, flexible work hours, or enticing bonus structures will also help protect your firm from paying new hire-related expenses every year. Keep this in mind: a major factor for associates leaving a firm is because they feel there is no path for growth, so providing a way for your associates to move up the ladder is also important. The sentiment here is simple: if you have happy employees who feel they are valued, they will want to stay and work for you. Consider alternative options like hiring lawyers on a projects-basis. Unfortunately, the traditional hiring methods come with inherent financial considerations. There is a solution, however, to greatly reduce these new hire costs. New employment models like project work and flexible hiring options provide hiring attorneys the opportunity to essentially “test drive” new employees for a fraction of the price while significantly reducing the risk of hiring an unsuitable candidate. Posting project work will pay out just a few hundred dollars compared to spending thousands on temp or part time workers, which means you are risking very little to test drive lawyers. Project work provides a hiring firm the opportunity to get practical help on work immediately and, most importantly, gives the hiring firm a “testing window” to evaluate candidates for the position. Firms can use this opportunity to make a real-time evaluation on the quality of work as well as how well the attorney fits in with the firm. As a result, firms can take their time with important hiring decisions knowing that their work is getting done in the meantime and find a right fit that will have significantly less risk than using traditional hiring methods. In sum, hiring a new associate is expensive and comes with many considerations and risks, especially when using traditional ways to find candidates. Using new methods, such as using on-demand project-based lawyers, can help improve the chances of your firm hiring the right associates and increase the number of associates accepting offers and staying at the right firms for them. Most importantly, you might not need to hire full-time once you start utilizing project work! You can get help right when you need it, so this on demand help may work much better for your practice.